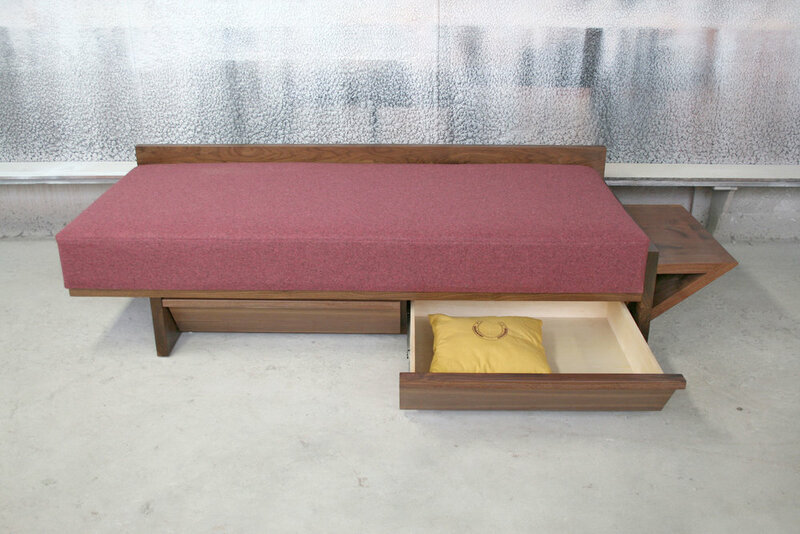 Form meets function in this contemporary design featuring a storage shelf and two hidden storage drawers underneath. 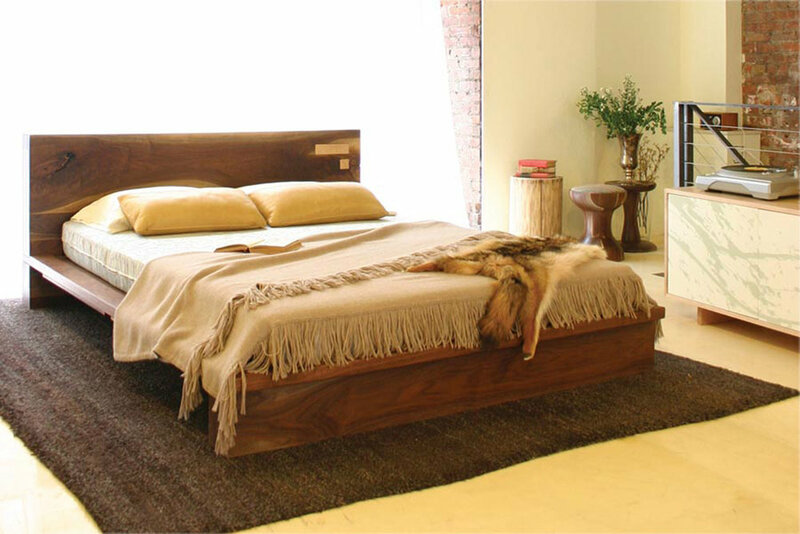 The upholstered daybed is in the same dimensions as a twin mattress for putting up guests. Dimensions: 83”l x 32.5”w x 19.75”h.